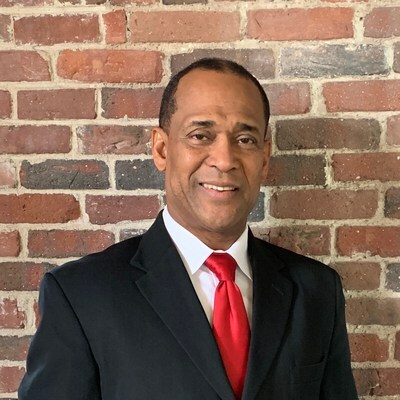 LOWELL, Mass., Jan. 10, 2019 /PRNewswire/ -- Canopy Defense, a subsidiary of Bambu Global, today announced that Charles Stuppard, Ph.D., a 30-year veteran of the US Navy, has been appointed General Manager. Canopy Defense's mission is to make military operations more efficient, save lives, and ensure our military personnel return home, uninjured and safe. Using deep expertise in light and color, Canopy Defense's technologies control the electromagnetic signature, resulting in a range of solutions that have been proven, through robust and intensive testing, to ensure the efficiency and safety of military personnel and assets. In his new role, Stuppard will be responsible for overall strategic direction, product innovation and development, and business development activities. "Charles brings tremendous leadership experience and broad strategy and logistics expertise in military and commercial operations that will steer Canopy Defense's military and government applications to achieve its mission of supporting our military and bringing personnel home safe," said Robb Osinski, CEO of Bambu Global. "Canopy's breakthrough technologies have the potential to do enormous good, and I am excited to help bring these benefits to the defense industry," Stuppard said. Prior to joining Bambu Global, Stuppard was Chief Operating Officer for the Bluestone Group & Constellation Blue Group in Washington D.C. and a Vice President in the Middle East for AECOM. During his 30 years in the U.S. Navy, Stuppard gained significant technical, academic, national security and political experience. He served on six warships, including as commanding officer of the USS ARLEIGH BURKE (DDG 51) deploying to the Mediterranean as Surface Strike Group Commander; and on the Joint Chiefs of Staff, European Pol/Mil Directorate, in the Pentagon on 9/11. He commanded the first Joint Army-Navy Base, JEB Little Creek-Fort Story; a special Task Group (TG 56.6) serving 10,000 sailors in Kuwait, Iraq, and Afghanistan during the Global War on Terrorism; and the Naval Forces Division of USMTM in Saudi Arabia. He also served as a leadership instructor at the Navy Command Leadership School attended by all senior naval officers prior to their commands, and as Executive Assistant to the Commander Navy Installations Command, responsible for all shore installations under the control of the U.S. Navy. He completed his military career as a Navy Captain at the faculty of the US Naval War College in Newport, RI. Stuppard holds a Mechanical and Aerospace Engineering degree from Cornell University, a master's in National Security and Strategic Studies from the U.S. Naval War College, and a doctorate degree focusing on "leadership and technology" from Salve Regina University. Canopy Defense develops technologies with the explicit intent of making military operations more efficient, saving lives, and enabling our military personnel to return home, uninjured and safe. Using deep expertise in light and color, Canopy controls the electromagnetic signature, resulting in a range of solutions that ensure the safety and efficiency of military personnel and assets. Signature Management - Sponsored and tested by AATD, our solution manages the infrared signature of airborne or ground vehicles to conceal them from enemy threats and observation even with the latest night vision technology. The technologies developed can hide what needs to be hidden and make visible what needs to be seen. Heat Reflecting Cool Paint – Reflects the sun's heat to dramatically reduce the inside temperature of structures and vehicles as well outside surface temperature, thereby maximizing the value of energy resources and minimizing risk. High Efficiency, Human-Centric Lighting - Significantly reduces energy costs, while improving personnel performance. Uses a patented tunable wavelength conversion technology to manipulate the light spectrum and align the body clock for daytime alertness and nighttime sleep enhancement. Photoluminescent Technology – Keeps personnel safe in any environment, inside or out. The company's photoluminescent coatings provide 'light without electricity' for up to 12 hours. IR-emitting photoluminescent materials enable visibility and identification in darkness. SafeSightTM Light Suppression or Conversion into IR – Eliminates detection and identification by controlling the light signature from any light source, such as electronic devices and headlights. Canopy Defense is a subsidiary of Bambu Global. Learn more about Canopy Defense at www.CanopyDefense.com. Bambu Global is a family of innovative companies with a portfolio of advanced technologies designed to disrupt the life science, lighting, renewable energy, safety, tattoo and defense industries throughout the world. Located in Lowell, Massachusetts, the cradle of the American Industrial Revolution, Bambu Global draws on the inspiration of the city's rich history and the brightest minds of technology-rich Massachusetts to advance its mission. With a creative perspective and cross-discipline team of scientists, Bambu Global is advancing disruptive technologies to "improve life throughout the world™." Learn more about Bambu Global at www.BambuGlobal.com.